This morning I saw on Twitter that Dark Bunny Tees had released an Inception-themed t-shirt, but as I was just wasting time in a car park before a dental appointment I didn’t have time to investigate further, and when I came back to work this afternoon I couldn’t find the shirt anywhere on the Dark Bunny site. Intrigued, I headed back to their Twitter feed to find that it was on pre-order, so I think it’s being kept a secret on the main site, and just shared with fans on their Twitter and Facebook pages. 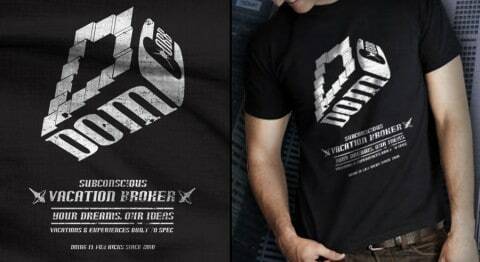 I’m hardly surprised that Dark Bunny have made an Inception tee, it was my favourite film of the year and I’m sure that’s the case for a lot of other people too. It’s being released in January, so I would assume that’s when you’ll be receiving the shirt if you were to order it now in this short pre-order window (it’s only available until Dec. 18th at midnight, GMT presumably), and as a reward for getting in on it early you’ll be paying £3 less than the usual rate of £15, which is a nice little saving. 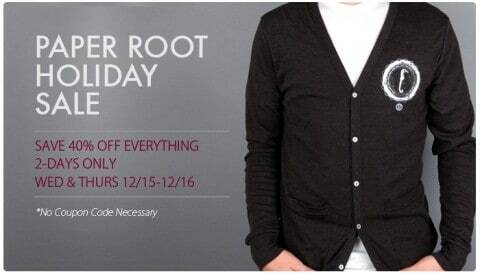 Paper Root really don’t mess around when it comes to sales, always willing to drop big numbers, good for them! If you’re American and you order anything during the sale it should arrive before Christmas, but international customers are a bit out of luck, still, doesn’t stop you picking up a bargain for yourself. Exclusive NesBuckle.com coupon for $10 off! 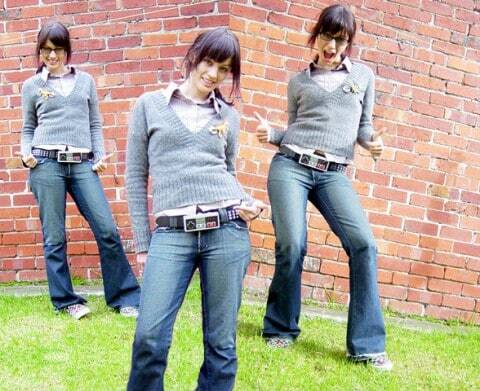 Taking a short break from tees here, the guy who runs NESBuckle (the belt buckle for nerds) sent me an e-mail giving you guys a $10 off coupon code for NESBuckle.com, which as HYA regulars would probably guess is hideyourarms. The buckles, which are made of genuine NES controllers, cost $29.95 regularly, so $10 off is a good saving. I actually have a NES sat under the TV in the office right now, it doesn’t get much play anymore, but then again I don’t spend a huge amount of time playing videogames, my Xbox gets used far more as a media centre, dammit I’m old. 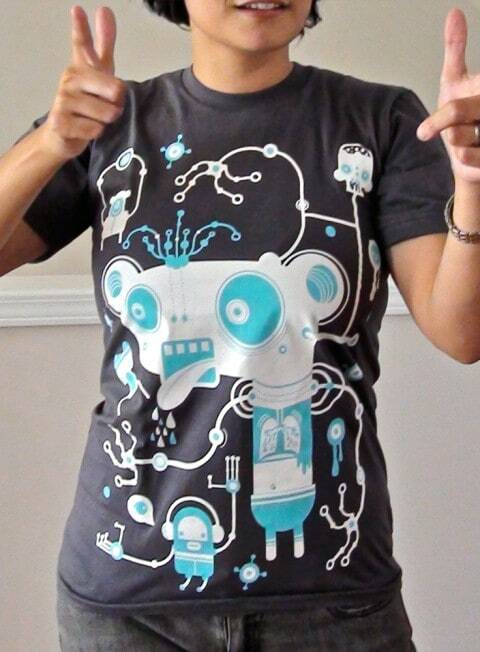 I don’t know how long this sale will last (I just spotted it on Twitter), but as I’ve just received a Yema Yema tee I can vouch for the quality that the store is well worth a look, especially with the tees at $10-15. Yes, they aren’t their newest designs (of which they’ve just added 20 designs), but a lot of them are cool, and at 40% off you’re looking at $12 Nerdy Shirts tees, which ain’t half bad. 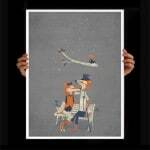 “The Seesaw in the Sky” by Jay Fleck is the newest limited edition available at Tilteed! 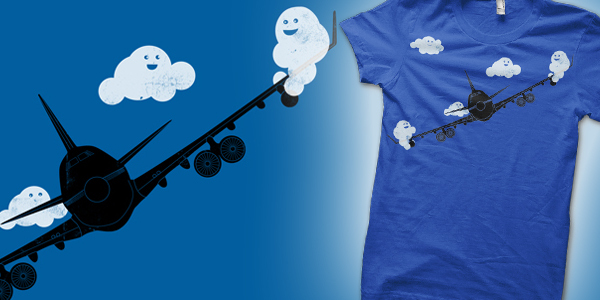 This shirt packs in a lot of silliness with the help of several fluffy cumulus clouds. 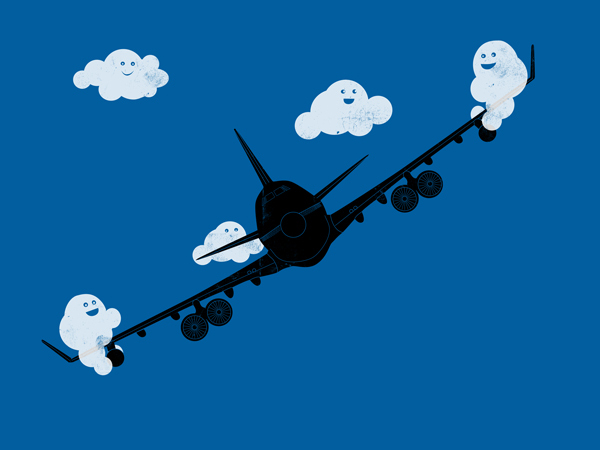 I guess now we can attribute some of the turbulence that we experience to these guys. Sneaky! 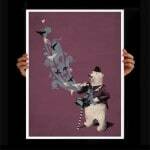 “The Seesaw in the Sky” is available for purchase at Tilteed for $12 only until noon Pacific Time on Thursday, December 16. This post was submitted by Bo. I presume that this t-shirt would make Naomi Klein spin in her grave (if she had one) at the thought of this t-shirt, but you know what, that is a pretty nice logo. 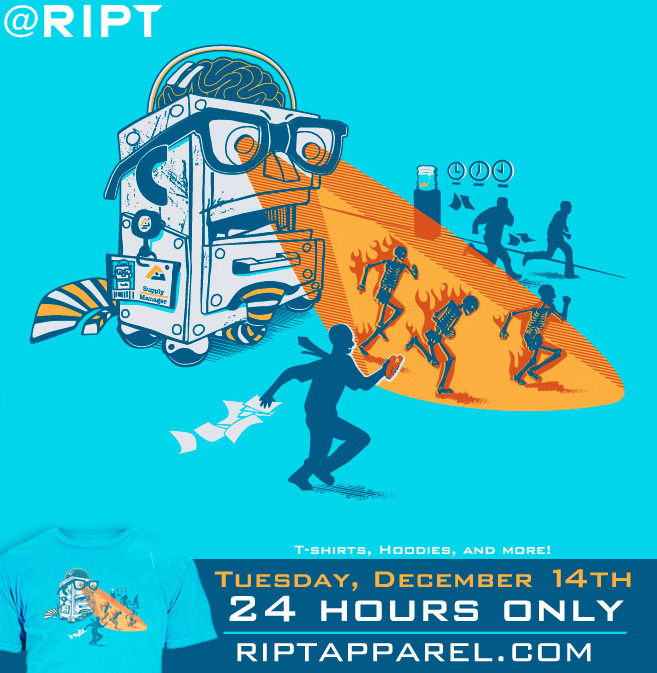 This 4-color on turquoise design depicts an out of control office bot that is hell bent on getting back his stapler. 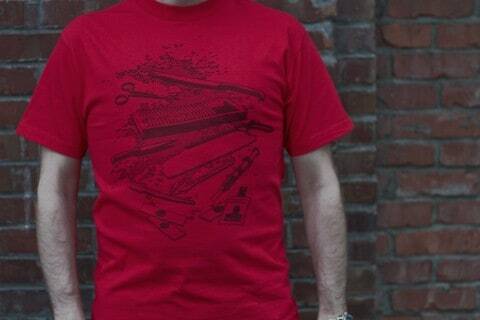 If you have ever had one of those days where you just know someone “borrowed” your stapler and now you can’t find it then this is the design tee for you. The small nod to the movie “Office Space” mixed with a furious robot and little gems like a Gold Fish in the water cooler. You guys should still have a few hours to get in on this deal. As a note to people submitting 24-hour deals, please try and do it as early as possible (preferably before the sale date with a note telling me when you’d like the post to go live), so that more people have a chance to buy the tee. This post was submitted by bortwein. I think it says quite a lot about the separation of myself and my advertisers that I actually found out about this t-shirt from I Am The Trend, rather than from 604Republic themselves, who are an advertiser that I’m proud to have on the site. That’s one of the problems with having cool advertisers, whenever I write about them it feels as if I’m shilling in some way, nut in the case of this tee I’m sure you’ll agree that I’m posting it on merit. Are any of you guys Dexter fans like me? Ahhh free shipping, the most under-rated of all promo deals. From what I can tell there is no minimum order requirement to be eligible for the discount, and if free shipping alone isn’t enough of a discount for you then you should probably use the coupon code hideyourarms to receive 15% off your order at Branded Baron. 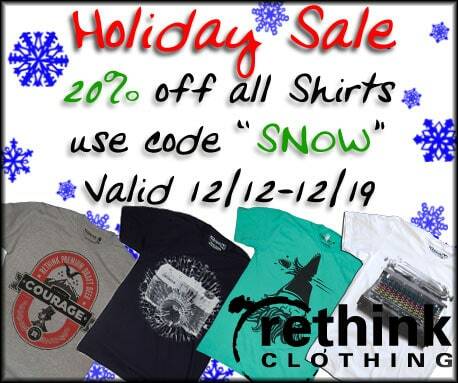 I would assume that if you’re in the US that the delivery date hasn’t yet passed for you to pick up some discounted goods from ReThink Clothing, and if you aren’t in the US then at least you’ll be able to get something nice for after the holiday period. 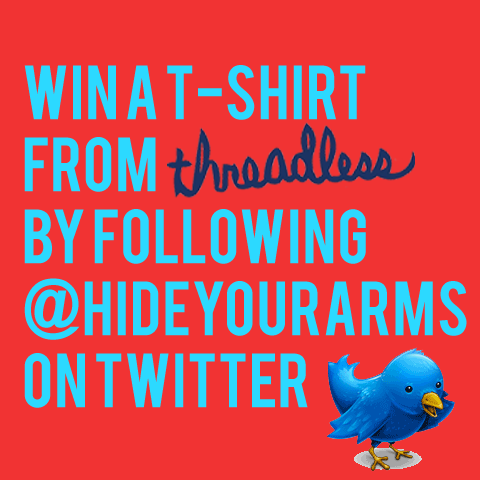 Win a tee from Threadless by following HYA on Twitter! We’re getting pretty close to Christmas now, so I thought it was about time I spread some festive cheer in the only way I know how, by giving away a t-shirt whilst gaining more followers for my Twitter account, it’s like a modern day Dickensian tale! 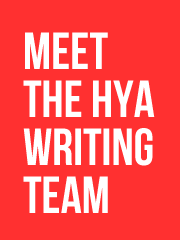 Almost 2,000 people follow @hideyourarms already, who are clearly happy to receive updates about t-shirt deals (some of which aren’t shared on this blog), new HYA posts as soon as they go live, and insights into my fabulous lifestyle, and I thought it was about time to reward them by giving them the chance to win a t-shirt from Threadless (and entice a few new followers at the same time). Each time to tweet the above message you will receive one entry into the giveaway, but please do not spam your followers, we all know how annoying that is, I suggest that you don’t tweet the message more than once a day. The competition is open from now until Friday December 17th at 23:59 (GMT), tweets after that time and date will not be counted. The winner MUST be following @hideyourarms, I will be notifying the winner by DM, and if you aren’t following I can’t message you. Following notification by DM, the winner has 3 days to reply, otherwise a new winner will be selected and the initial winner will have forfeited their prize. 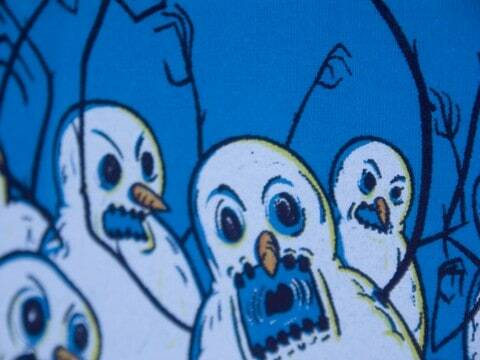 The competition is open to anyone, anywhere in the world that Threadless will ship a package to. I will randomly pick a winner from all the tweets using the random.org service. Each entry/tweet will be assigned a number, and I will randomly generate a number to find the winner. 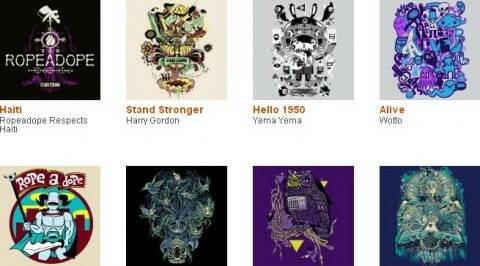 The winner may pick one t-shirt from the Threadless catalogue (excluding from the Select line), or two t-shirts if they choose from the $5 section. Now go get tweeting, and if you aren’t a Twitterer don’t worry, there’ll be another competition next week, and maybe even the week after that! 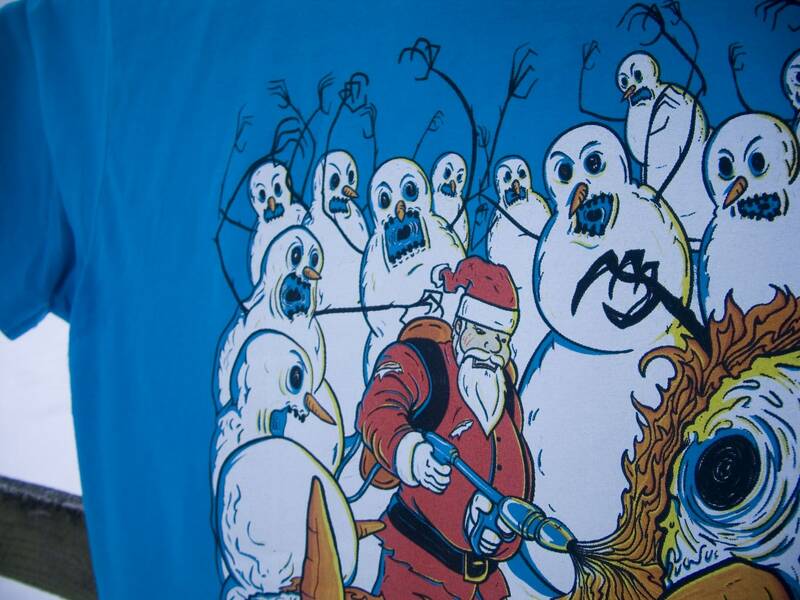 A morbid twist on a holiday classic! Rudolph had it coming, or did he? This post was submitted by Michael B. Myers Jr.. 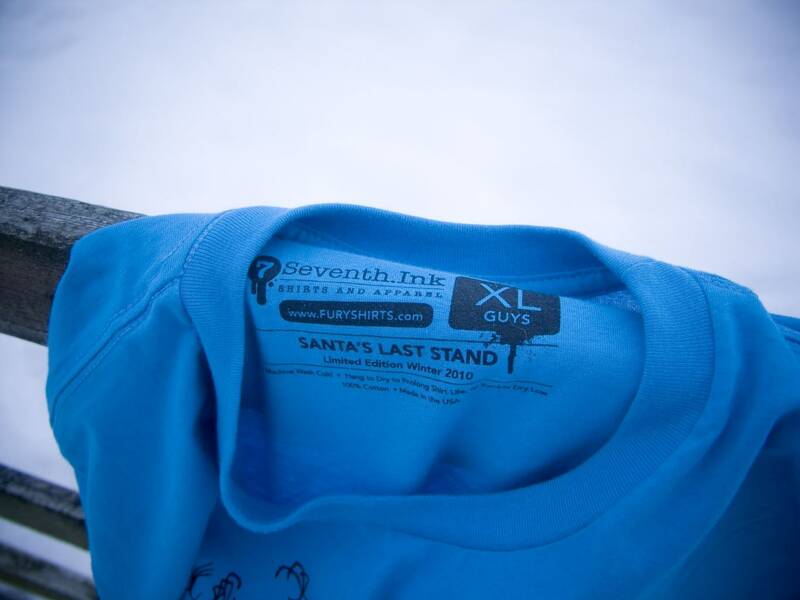 The guys over at Seventh.Ink were kind enough to send over a tee for review, and it’s one of the most time appropriate tees I’ve ever got, since it’s all about Santa and some marauding snowmen. Most people have a Christmas sweater, but as you might imagine, that’s not really my style, so I am now the proud owner of a Christmas tee, which is probably what most people have in Australia (Christmas in Summer? You crazy Aussies). Of course, the point of a review isn’t to help fill in all the micro-niches in my closet, it’s so I can let you know about the quality of the shirts on offer at Seventh.Ink. 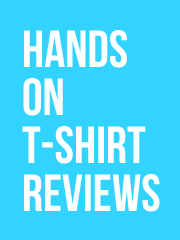 Really, my reviews shouldn’t even include my thoughts on the design (hint: badass) since that’s a personal opinion based on my personal tastes it shouldn’t make a difference to whether you pick up one of their shirts. However, the quality of a t-shirt, I’d like to think I know a thing or two about that, seeing as I’ve got hundreds of them, and at one point when I was reviewing tees really regularly I was giving them a smell test. A smell test, I didn’t even know what I was checking for other than that tees straight out of the mailer smelled nice. The shirt itself is an American Apparel Teal blank, I’m fairly sure that it’s an American Apparel 2001 shirt, for those of you that like to be specific. With it being American Apparel I’m pretty sure everyone visiting this site knows what they’re in for, fairly slim fit, fairly long, not boxy, soft, and an overall quality product. I wear an XL because I like my shirts a little snug, and because of this I noticed that the large print on this shirt does make it feel a little bit more snug than usual, I think because the print stops the cotton from being able to stretch to my muscly, chiseled torso (note: only if it had been chiseled out of cream cheese, I wear an XL, remember?). It’s not an issue for me since the effect is minimal, and I would assume that after a few washes the print might soften up a bit and allow for more flex, but I’d like to stress how little of an issue it is. 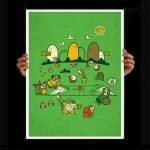 In terms of print quality things are looking good, everything is lined up right and the print is soft, with vivid colours. I can’t comment on how well it will wash since I’ve only worn it once, but I get the feeling there’s nothing to worry about, with the print already being soft and not tick (in a good way) it’s not going to crack. The addition of the logo print on the arm surprised me, personally, I like it, but I know a few people out there don’t, it’s not particularly intrusive, and they’ve got a cool logo (which certainly softens the blow for people that don’t like that kind of thing). The printed tag inside the shirt is a nice touch, I sometimes hear comments about how regular hang tags are itchy and scratch, I’ve literally never experienced that in my life, perhaps I have a very insensitive neck? Nevertheless, I still prefer a printed tag over a regular hang tag because it allows a company to give more information, like the way this one names the design and generally adds value to the product by making it look like they’ve really thought about the whole package. Speaking of the whole package, the tee came in a regular poly-mailer with a 7th Ink sticker on it, a sticker, a postcard with a 15% off coupon code on it, and a little note thanking me for reviewing the shirt, seriously, people thank me for receiving clothing, how awesome is my life? The shirt costs $24 and is available from Seventh Ink, and if you want it before Christmas you’d better move fast! 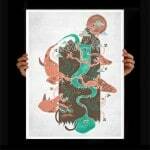 Ropeadope Design Collective, act quick! 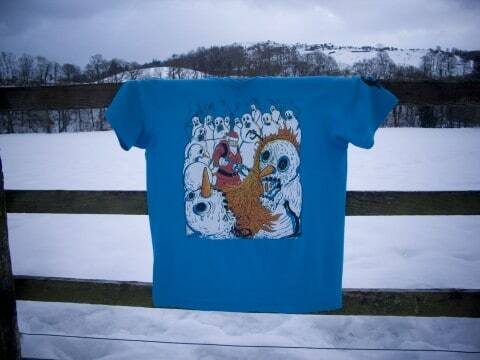 Ropeadope have put together a really nice collection of artists (Wotto, Seibei, Yema Yema, amongst others) and got them to make some equally nice t-shirts. Problem is, they all went on presale a while back, and the pre-sale will end on December 13th, and even Ropeadope aren’t sure if they’ll sell them after that, so you guys have only got a couple of days to decide if you wanna pick one, or two, or more shirts up. Totally, my fault, sorry I didn’t get on it earlier. 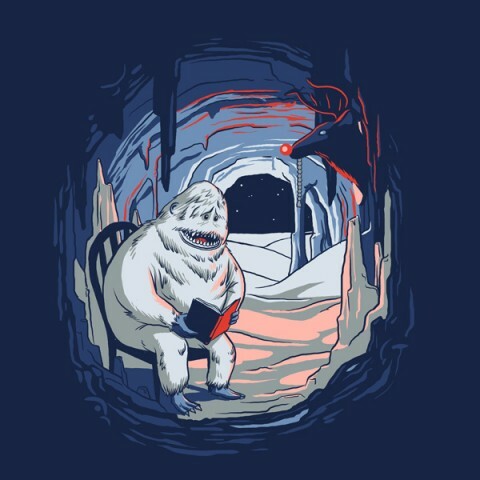 As much as I love being cheap and getting $5 tees from Threadless, it’s nice that another cool t-shirt shop has gotten into the game of selling their shirts (and not even the crappy designs, some of them are fairly iconic in the tee world) for a price so low that if it were a meal I’d assume I had to bring my own fork. Apparently it was so successful last time that Chop Shop have decided to re-run their Cyber Monday deal and offer a lot of tees at this special page for just $4-6. 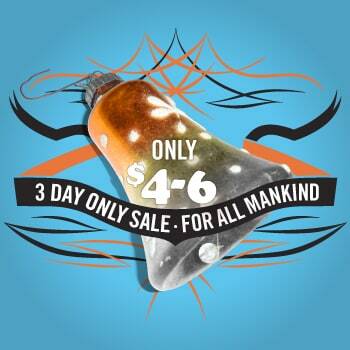 The sale started today, and it runs 3 days, so it doesn’t take a genius to work out that if you try and buy one on Monday you’ll be sorely disappointed. 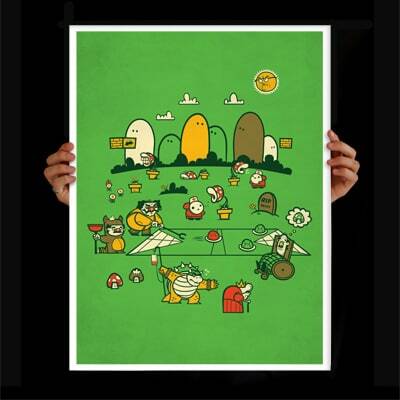 Our buddies over at Fuzzy Ink have taken quite a lot of their moustache themed designs, and put them onto 18″ x 24″ cover stock paper, so that in case you get bored of just wearing their tees, you can hang a lovely printed version on your wall too. 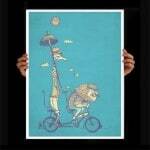 Prints are $20 each and are shipped rolled. 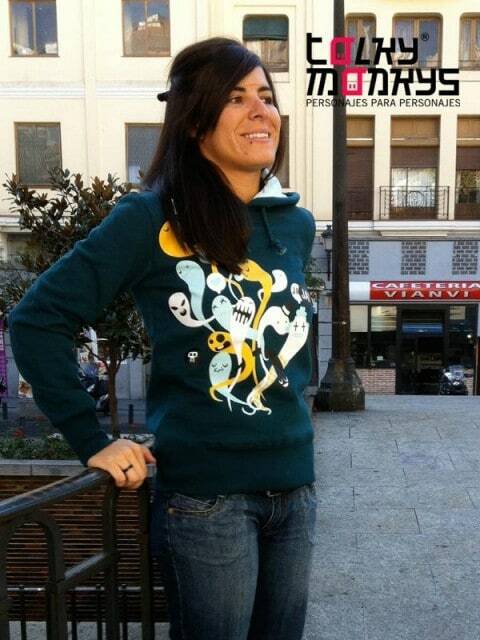 My favourite Spanish-based character-themed clothing company has gone and released a few new tees and hoodies that are just for girls (and guys that have a body-shape for women’s clothing, presumably). 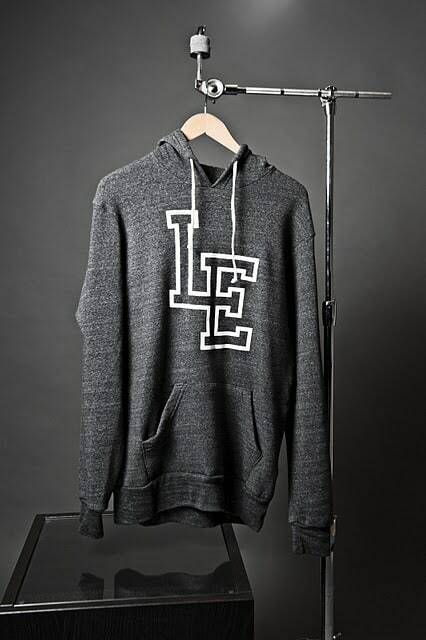 They aren’t all entirely new designs, but they are all pretty good looking, I do hope some of those hoodies end up available for guys too because I really like the one I’ve used as the main pic here. I watched Serenity while back and then more recently, and it’s good, but to be honest I don’t really get all the hubbub about Firefly & Serenity, and frankly I already watch more TV than I should so I probably won’t ever find the time to understand it, but that doesn’t stop me enjoying this tee on an entirely superficial basis. I wanted to let you know that I have a new design (based on the show Firefly) coming out, and I thought it was something your readers would really like. This Friday, December 10th, it will be on a shirt at TeeFury (printed on a sand colored shirt), then the day after it will be available through my own shop (printed on silver). 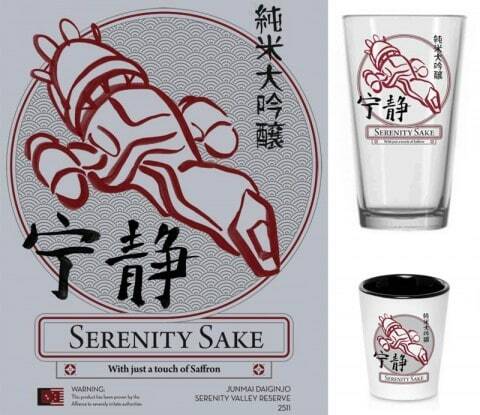 I’ve also had it printed on both pint glasses and sake glasses which are also in my shop. Once again to coincide with the TeeFury print, I’ll be running a coupon code for 15% your total order from my shop (THISLAND) and will also be giving away a free sake glass though both Facebook and Twitter (with more details available on my blog). And by dark, I am clearly not talking about some gory designs, but rather that all the items in this collection are black (if you don’t look at the bits of white, of course) which is appropriate as it was released on Black Friday (remember that? Has your credit card recovered yet?). 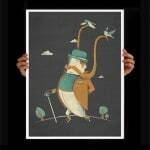 The interesting thing about this release from Vaughn de Heart is that in the collection there are 7 items, of which only 7 of each were printed, that is pretty limited, so I’m quite surprised that there are any pieces of this classy collection left, but they are still listed in the store, which may have something to do with the rather premium, though in no way extortionate, prices. 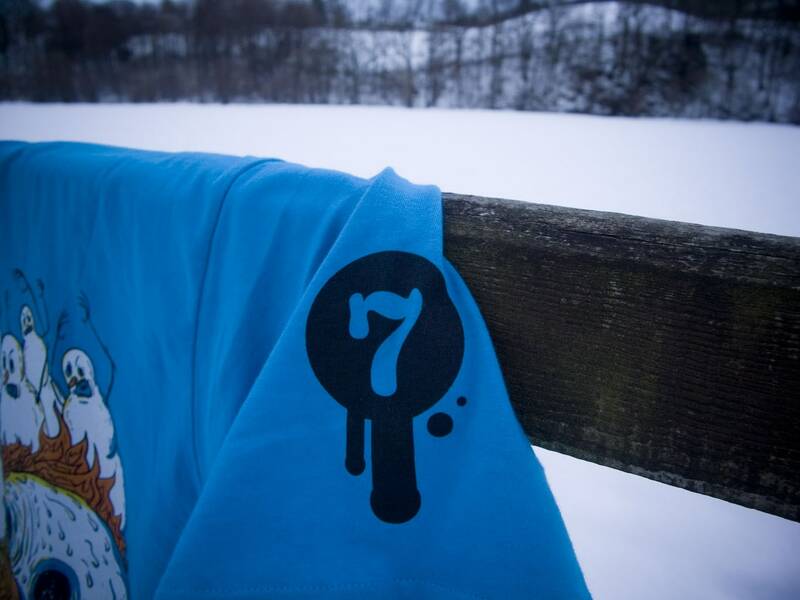 It looks like a really classy, high quality collection, so if you like the colour black and the number 7 you should probably check it out.